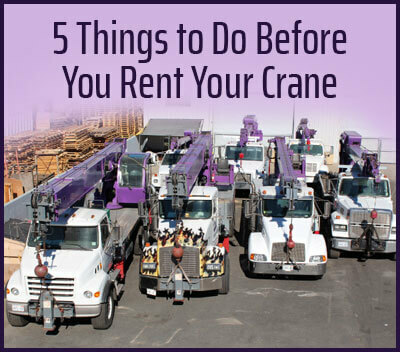 Purple Crane's knowledgeable, experienced staff have assisted residents of Van Nuys in their crane rentals since 1983. Through performing over 75,000 lifts, our well-informed staff have learned which cranes work best for which projects. 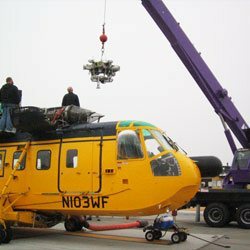 By matching your project with the right crane, we will save you time, money and hassle. 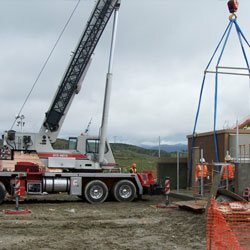 We also arrive to your project on time. Keeping you on schedule is our main goal, so our experienced drivers will perform your project efficiently to maintain your schedule. 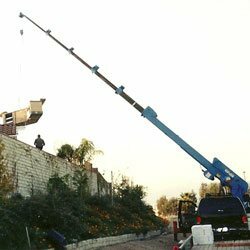 Whether you need a crane for a residential or commercial project, our cranes can help. 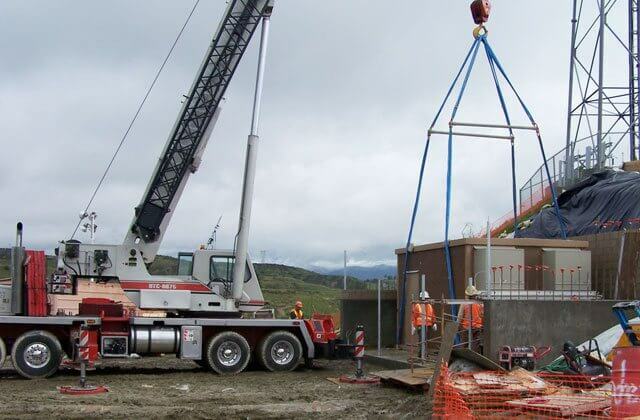 We have assisted with almost every kind of project, so you can trust our cranes and operators. Our cranes can handle both light and heavy duty lifts. 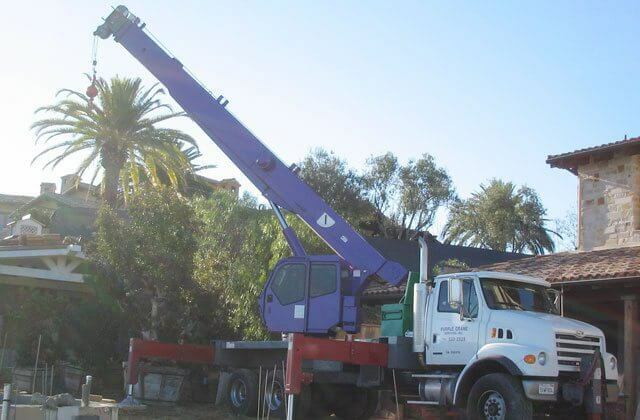 You can depend on Purple Crane to expertly, efficiently, and safely perform any lift, whether machinery, air conditioning units, building materials, landscaping, utility, shipping containers, spas and barbeques, and construction. 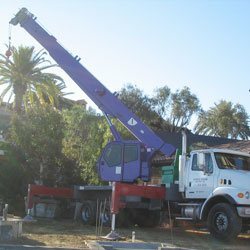 Purple Crane has been providing Van Nuys and all of Southern California with full service crane rentals for machinery installation and removal for thirty years. 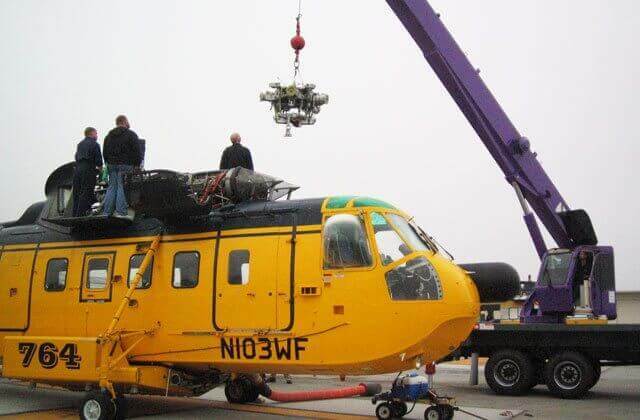 We can perform both light and heavy duty lifts. Our cranes have the ability to reach as high as 165 feet, or 12 stories, so we can even lift machinery to higher floors or roofs. 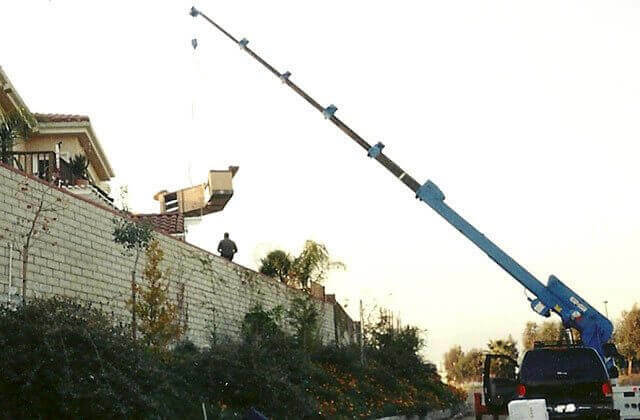 Whether for residential or commercial jobs, we can lift large machinery to be installed or removed, including manufacturing machinery, large appliances, medical machinery and equipment, printing presses, or any other large equipment and machines. With the trucks and trailers we have available to rent, we can also transport your machinery either from one job to another or to haul-away as scrap. Whatever lifting and moving needs your project has, you can trust Purple Crane to expertly handle. 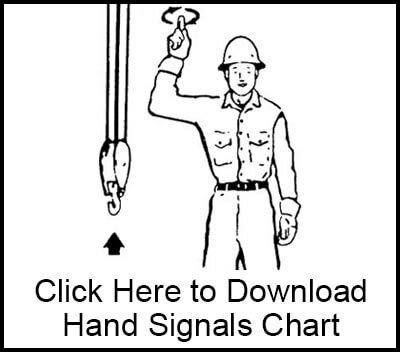 Our knowledgeable, experienced phone operators are available anytime, any day to speak with you about your crane rental needs. They know what questions to ask in order to know exactly what your project needs. Phone today to learn about our great service and prices.